With the number of drivers on Missouri roads continuing to increase, there is no doubt that lawyers will continue to see victims of automobile accidents come through their office doors. Sometimes the plaintiff, or the defendant, does not have a valid driver’s license. While opposing counsel may seek to exploit the lack of a license as the basis of comparative fault, such tactics are clearly inappropriate under Missouri law. The Missouri Supreme Court has held that “the mere failure to have a driver’s license does not establish a causal connection between the operation of the vehicle and an injury.” Siess v. Layton , 417 S.W.2d 6, 8 ( Mo. banc 1967)(emphasis added)(holding that a minor without a license could sue in a negligence action). E vidence that a party was an unlicensed driver is not relevant to prove that the driver caused the accident at issue. Oldaker v. Peters , 817 S.W.2d 245, 250 (Mo. banc 1991)(trial court properly excluded evidence of the decedent’s habit of stopping to offer aid at the scene of an accident as it did not tend to prove or disprove any fact at issue). The party seeking to admit evidence of the lack of a driver’s license must show some causal connection to the accident at issue. ” The question of whether the driver’s license was competent evidence and admissible turns on whether the evidence tended logically to prove a fact in issue or to corroborate other relevant evidence relating to a material matter.” State v. Cutts , 694 S.W.2d 804, 810 (Mo. App. W.D. 1985). “The failure to have an operator’s license could not, of itself, have any causal connection with the accident which produced the injury.” Ritchie v. Burton , 292 S.W.2d 599, 607 (Mo. App. S.D. 1956)(emphasis added)(citing to 87 A.L.R. 1471; 60 C.J.S., Motor Vehicles, § § 162, 163, 431, pp. 497, 498, 1061; 5 Am.Jur., Automobiles, sec. 141, p. 586; Faust v. East Prairie Milling Co., Mo.App., 20 S.W.2d 918; Dixon v. Boeving, Mo.App., 208 S.W. 279; see Sours v. Sours, Ohio Com.Pl., 73 N.E.2d 226). Evidence that a person does not have a driver’s license is not admissible to show that a driver was inexperienced or lacked the knowledge needed to operate the vehicle. The status of a person’s license is irrelevant to show ” experience, observation, and means of knowledge.” Kleckamp v. Lautenschlaeger , 266 S.W.470, 471-473 ( Mo. 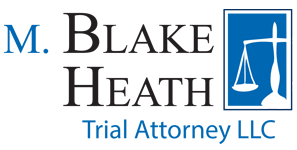 banc 1924)(in a car wreck case, question regarding driver’s license was withdrawn based upon objection, questions based on experience were acceptable). Just like it is irrelevant to comment on the status of a doctor’s license in a medical malpractice case, it is equally irrelevant to comment on the status of a driver’s license. See Noble v. Lansche , 735 S.W.2d 63, 64 (Mo. App. E.D. 1987)(comments on doctor’s license was a “calculated effect to cast a pall of disparagement over the doctor’s testimony by reason of irrelevant misconduct.”). While an unlicensed driver may be open to a plethora of cross-examination about experience and ability as a driver, questions, testimony and evidence regarding the lack of a driver’s license should not be permitted. In preparing for trial, if you think that the opposing party will try to introduce evidence of your client’s lack of a driver’s license, you will want to file a motion in limine to prevent the issue from being discussed in front of the jury.